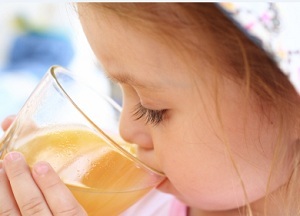 Why do we love juicing for kids? Because they love the taste and we love that it is great for them! When getting your child to eat fruits and vegetables becomes an unbearable task, consider something creative. Teaching your child how to juice delicious fruits and vegetables can make it an interactive experience they will certainly love. The reason they aren’t eating those healthy items may have to do with sight and texture rather than flavor. The first step in juicing for kids is to find fruits your child enjoys the most. These are going to be used to mask the flavors you create. If they really love oranges, you can use that to your advantage. Have them first sample a few different types of juice and ask them which flavor is their favorite. When you have selected a fruit, cut a few pieces of that fruit in half for the little one, and let them use an old fashioned glass juicer. This is a safe and interactive way for them to begin juicing. While they are juicing the fruits, on the side you can begin juicing items that will maintain the juice color. With an orange for instance you can blend in a carrot, and other vegetables that have a similar color. This will preserve the color, which will be visually appealing to your little one. Once you have finished the juicing process, mix the fruit and vegetable juices together, and chill them before serving them to your child. Be sure to cut the liquid with some water. This will help to reduce the acidity that may upset the child’s stomach, and it will help the wear that could potentially happen to their tooth enamel. Then get out the electric juicer and your kids will think that it is great fun to make their own juice creations! Another thing you need to be careful about when serving juice to your kids is that while it contains vitamins and nutrients, it isn’t the best way to hydrate them. Instead give them juice as a midmorning and afternoon snack, but the rest of the time try to serve them water. Juice during a meal is also something you will want to avoid. They may try to fill up on this rather than other foods that will complete a well balanced nutrition plan. Then they will not get the full health benefits of juicing that you are looking for. If you find your kids are not enjoying the juice you are giving them because it isn’t sweet enough, try adding additional carrot or beet juices. While sugar might be the easiest solution, it defeats the purpose of the fresh squeezed juice. Beets and carrots tend to have a sweeter flavor your child will enjoy. It is important to also remember the purpose of juicing with your child is to teach them about their fruits and vegetables. Use this as a chance to let them see that certain fruits and vegetables taste great. Let them try the carrot juice separate, and others. This way if your child sees the raw vegetable they are more likely to pick it up based on the delicious taste they remember. Finally, this is a great bonding experience you can have with all your kids. Gather them all together and have juicing parties using an electric juicer. Explore and experiment with them and turn it into a game. Have them make their perfect combo with different fruits they’ve juiced along with the vegetables you’ve juiced. Then get excited when they have made that perfect flavor they want to share with you.